Technology Entrepreneurship for Girls Ages 10-18. No Experience Necessary. Free to Everyone. 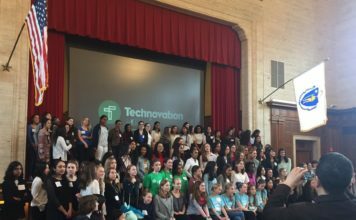 TechnovationMA—the regional round of the Technovation Challenge—serves all girls aged 10-18 across Massachusetts and RI and is run by the MassTLC Ed Foundation. 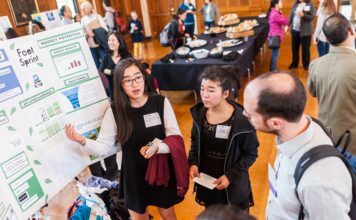 The Ed Foundation recruits members of the tech community to support teams by serving as mentors, coaches, and judges and has developed workshops including: mentor training, beginner and advanced MIT App Inventor courses, understanding UX/UI, creating business plans, and pitching. Visit this page for everything #TechnovationMA! 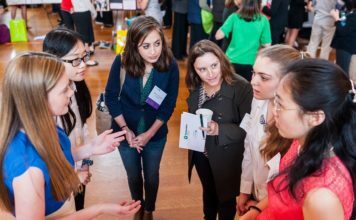 Every season the Ed Foundation organizes events & workshops to supplement the Technovation curriculum, provided by experts from the MA tech industry. Check out our MA keynotes & workshops from all seasons here. October 1, 2018 – Registration for 2019 is Open! Register now. Mentors support teams of girls participating in the Technovation program. Mentors help their teams become leaders. They learn with their teams and help them problem solve, while also supervising girls through their journey. Mentors can be teachers, parents, after school coordinators, community leaders, or professionals. Get answers to all of your questions about being a mentor here.